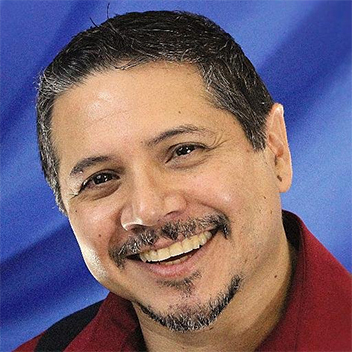 Voice actor Dino Andrade was recently featured as Speedy Gonzales, for The New Looney Tunes, and is best known to video game fans as High Tinkerer Mekkatorque, Professor Putricide, Mimiron, The Death Knight Gnomes, The Mad Bomber and more from World of Warcraft and Hearthstone, as well as The Scarecrow from Batman: Arkham Asylum. Additionally, Andrade has lent his voice to such high-profile properties as Star Trek Online, Prey, Dishonored 2, Dungeons & Dragons: Neverwinter, Brutal Legend, Call Of Duty, Loud House, Sophia The 1st, Smite, and Nerf-N-Stike. Anime/gamer fans know him for his starring roles as Willy in M*F*K*Z*, Kenshin in Sengoku Basara, and Ragou in Tales Of Vesperia, as well as his guest appearances in Hellsing Ultimate and Ghost In The Shell: Stand Alone Complex. On television Dino has provided sound-a-likes for both the short-lived CBS series $H*! My Dad Says and ABC’s Jimmy Kimmel Live. Dino has also been heard in both radio and television campaigns for Kellog’s Rice Krispies as the iconic voice of POP of Snap, Crackle and Pop fame! A life-long fanatic of all thing sci-fi, horror and fantasy, Dino is also the creator/founder of the popular geek dating website soulgeek.com responsible for 1000’s of geek matchups world-wide since 2007.